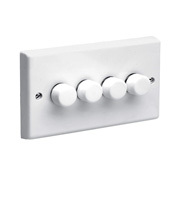 Sometimes having more than one light setting can create the perfect tone and atmosphere within a room, and here at Direct Trade Supplies you can acquire quality dimmer switches to control your lighting effects. 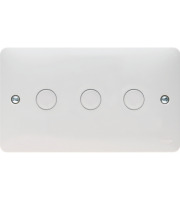 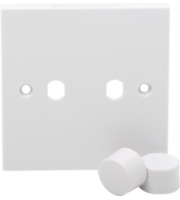 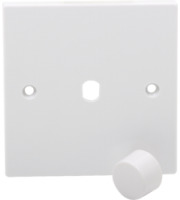 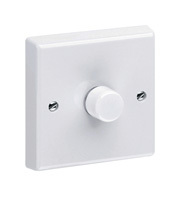 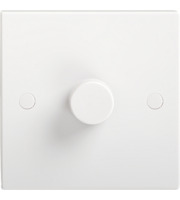 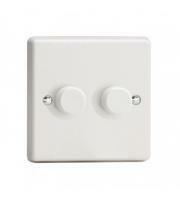 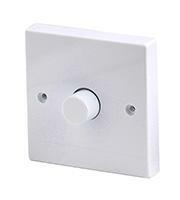 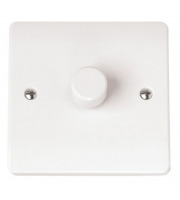 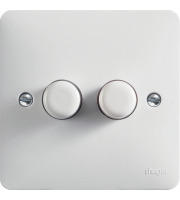 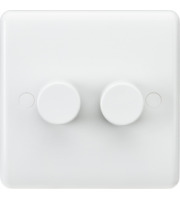 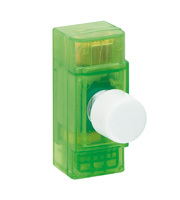 We have a whole host of dimmer light switches within our white moulded accessories range. 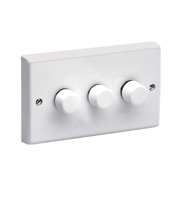 We have dimmer switches to help you continue your contemporary ambiance. 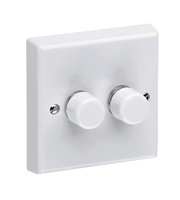 The switches within the white moulded accessories range are able to fit into any interior. 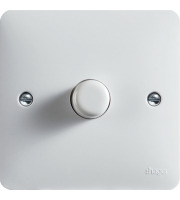 White switches are used all over, their calm and modest shade allows for an easy fit into any given room. 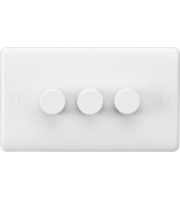 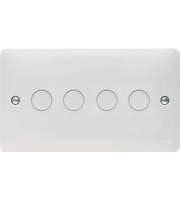 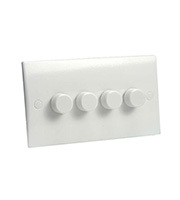 A white dimmer switch will allow you to completely control your rooms lighting. 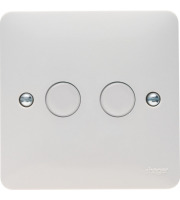 They offer great scope to modify the mood, atmosphere and ambiance of any desired room. 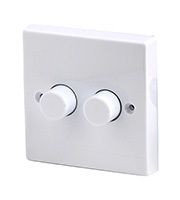 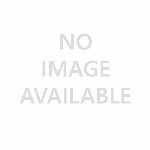 This type of lighting control is highly regarded in all manners of situations, from contemporary work places where image is important, to homeowners who want to inherit more than one strict light setting. 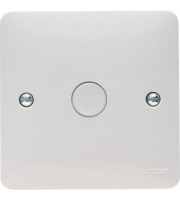 Sometimes the standard and only light setting available produces too much glare and is often too bright for you to fully relax. 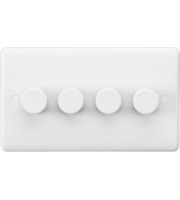 This is why dimmer and mood lighting switches are so popular across the board. 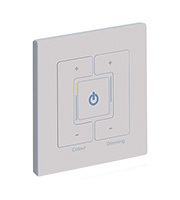 They enable the user to find the perfect setting for them. 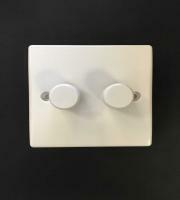 This unique balance between light and dark, rather than just having the option to go piercing bright or pitch black, gives you great opportunity to edit the surroundings to suit you. 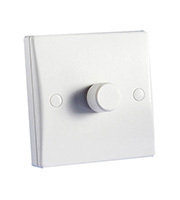 Although every single light switch is made with quality materials by well established brands, some of them use different functions to others. 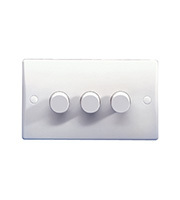 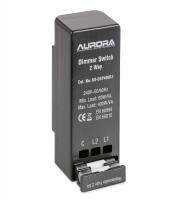 For instance you can buy a simple 1 switch or go up to a 4 way dimmer switch for the ultimate control over your lighting. 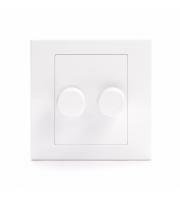 The choice to completely change the atmosphere of your room can be an advantage in so many different scenarios; from finding the best lighting for those who are not feeling too well to solving the best lighting for a relaxing night in front of the television. 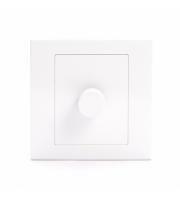 Whatever your reasoning, you are certain to find the right dimmer switch for you inside our white moulded accessories range.